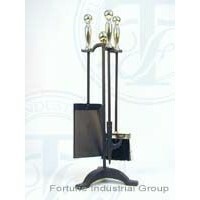 electric fireplaces, Fireplace Accessories, Fireplace Tools, wood burning fireplace, Wood Fireplace, Metal Grate, Electric Fireplace, Electric Candle, Safety Match, Electrical Fireplace, Fireplace Sets, Fireplace Material, Metal Fireplace, fireplace tool sets, Burn Wood, Glass Cooktops, Home Fireplace, Polyresin Decoration, Electric Log, Fireplaces Electrical | More.. Product Brief: ITEM NO. CPD14030PK DESCRIPTION MINI FIRESET SIZE 20-3/4H BOX/DIA C/9.5/8.3 PC/NW/GW/CFT 6/17.4/21.